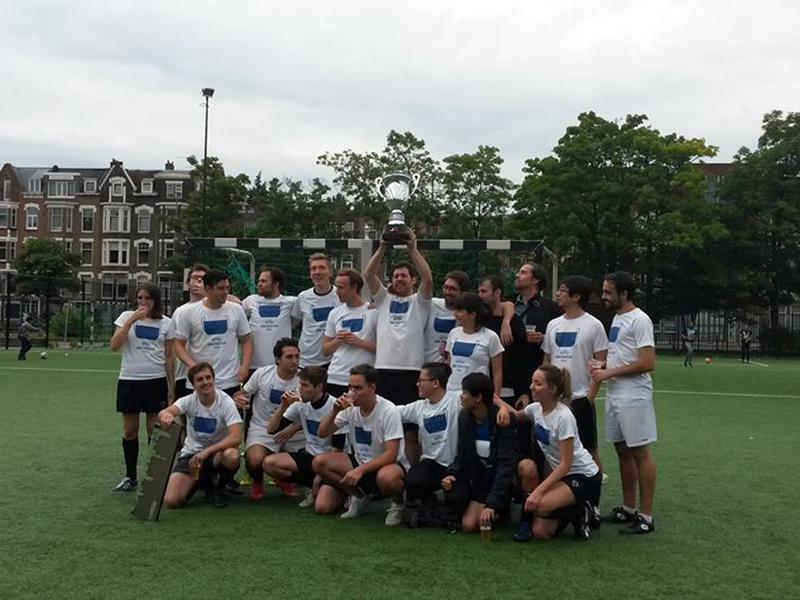 After a seemingly never ending nine-year wait, Dutch architecture firm MVRDV finally reclaimed the ArchiCup in Rotterdam after a contentious soccer matchup. Organized by GROUPA and Bekkering Adams Architects the competition was hosted at the Henegouwerplein in Rotterdam. Despite the questionable playing surface, MVRDV reigned victorious over bitter rivals Power House Company causing scenes of jubilation as they launched their captain into the air. Other teams included Broek Bakema, De Zwarte Hond, Hoogstad, Groosman, KCAP, Mecanoo, Nov ’82, OMA, West 8, ZUS and RAVB.